Today we relaunch the British Museum blog. But why today? Find out how our history connects past, present and future, and watch Hartwig Fischer, Director of the Museum, explain a bit about the Museum and its role in an ongoing global conversation. Sutton Nicholls (fl. 1689–1729), Montague House. Etching and engraving, 1728. Left: Sir Hans Sloane’s specimen tray. © Natural History Museum. Centre: The Sloane astrolabe (an astronomical instrument). Right: a selection of shoes collected by Sloane. As you can imagine, this took up a lot of space – so where would this cabinet of curiosities be displayed? From the beginning, the Museum was run by a board of trustees, who appointed a Principal Librarian to conduct the day-to-day running of the institution (now known as the Director). After rejecting Buckingham House (later the site of Buckingham Palace) on the grounds of cost and the unsuitability of its location(! ), they decided to purchase Montague House on Great Russell Street for £20,000 (around £2 million in today’s money). 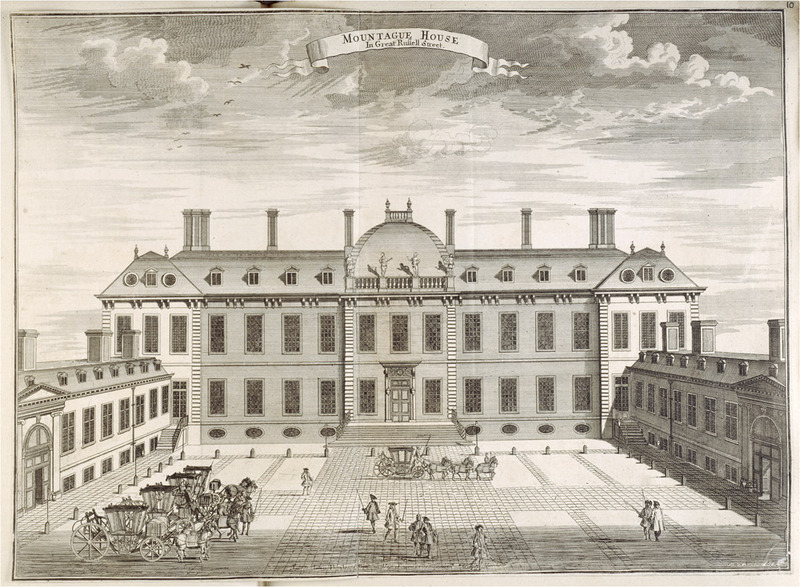 On 15 January 1759, the converted stately home opened its doors for the first time, and the British Museum as a public attraction was born. The Museum hasn’t always celebrated 15 January. A headline in the New York Times of January 1959 stated flatly (and perhaps with some disdain) that ‘LONDON IGNORES AN ANNIVERSARY’. Conversely, in 2014 the Museum featured in a Google Doodle in the UK for the 255th anniversary. In 2017, we’re launching this new blog – a hub for all sorts of digital content – where you can explore the stories of the Museum, from objects and the people who made them, to the Museum’s own history, and the people who work here. Hartwig Fischer, Director of the Museum today, explains a bit about the Museum – past, present and future – in this short video.